There is, funnily enough, a showy element to this week’s blog. It is that time of the year again after all, when the media and the Garden Design world all start patting each other on the back or sniping behind the aforesaid backs. Chelsea Flower Show can bring out both the best and worst in people. Show Chelsea a flower and she may start sneezing; many people are allergic to pollen from one or more plant species. The London Plane trees that line the avenue at Chelsea (a permanent feature) are known to cause grief to many visitors as this is the exact time of year when the Plane trees’ pollen brings out the sneezes and wheezes; the infamous ‘Chelsea cough’. Trees have been something of an issue at the Show this year; some of the designers have trawled the world, it seems, for the tallest or widest specimens; thereby causing a few headaches for those organising the event as some of the aboricultural delights only just fit through and on site. Importing trees for a short time in this way has to raise questions about sustainability and the environment. Not just trees of course; importing Chinese slate when we have Welsh slate near to hand belongs to a similar dispute. But it is the trees that have made the headlines. At a time when London and the south east is suffering from a drought which was pretty much on the cards when this year’s gardens were being designed, was it a responsible action? Not only have the trees been imported (carbon footprint etc, etc, etc) but as they are such large specimens and have been recently transplanted they will require gallons and gallons and gallons more of water. Chelsea Flower Show is a showcase; it should be an inspiration – for designers, creatives, and for the ‘general public’ (whoever they are). It usually is an inspiration. It should also be an education; and yes it is, there are gardens and displays that tell us how we can live a life that balances computers and smart phones with bee friendly outdoor spaces. Back to those pollen laden plane trees that are making Chelsea sneeze…Platanus x hispanica is found across London and other cities. It is very tolerant of pollution and of the root compaction that urban trees also have to deal with. Root compaction from the amount of hard surfaces rather than soil surrounding them and from the constant flow of traffic pounding the earth into a hard state. Deciduous, so showing a tracery of branches over the winter and with palmate, ie hand-like, leaves and a peeling bark which is its most appealing feature (!) this tree is not native to the UK. Colloquially known as the ‘London Plane’ it has become a largely accepted immigrant, although there is still not full agreement on its antecedents; the ‘x hispanica’ nods in the direction of one of its most likely parents, the Spanish plane tree. Flowering time? 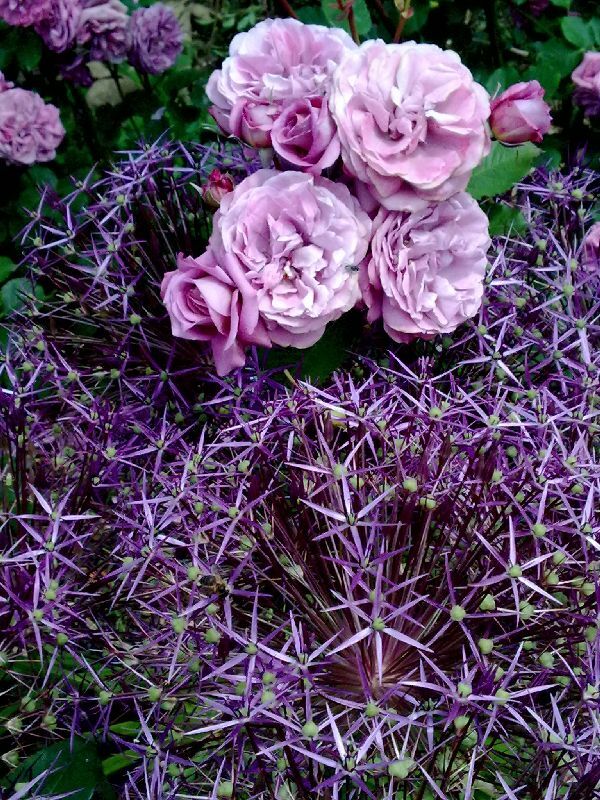 May –June, of course: just in time for the Chelsea Flower Show! It is of course a patriotic year, with both the Queen’s Jubilee and the Olympics appearing on the national calendar. So in her hunt for flowers, our Chelsea is likely to make a bee-line for the Great Pavilion and probably need a sniff of Rosa ‘Queens Jubilee Rose’ and Rosa ‘Royal Jubilee’. These are obvious contenders for RHS ‘Plant of the Year’ award. 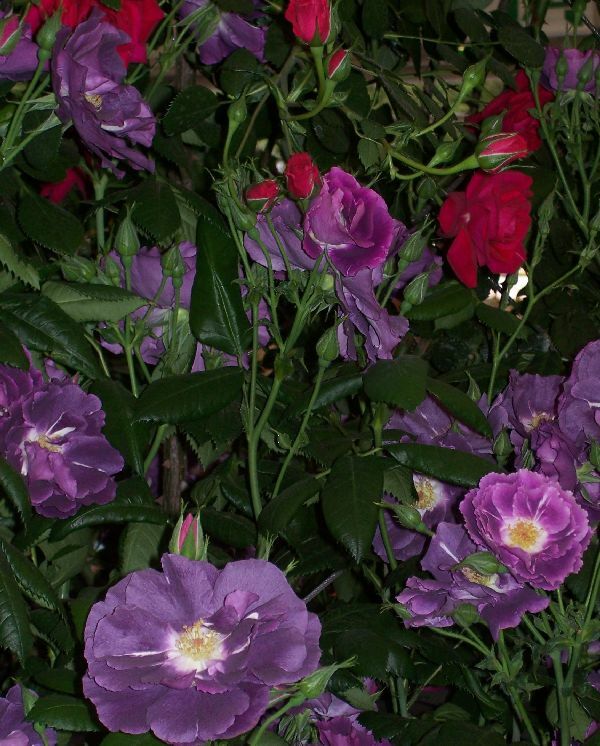 Roses, also being pollen bearers, may cause an allergic reaction, as may the perfume, either to nose or skin. But hopefully, these celebratory roses, whilst scented, will not cause too many sneezes or skin itches. They are lovely looking roses and their scent promises to be good too. And whether you’re seeing Chelsea for real, watching it on TV or your computer, Plews can help you with the view you see every day – your own garden. For ideas that are inspired not just by Chelsea but by the many wonders of the world around us, why not contact us and let us design and build you a sneeze free garden?